Naturalization is the process by which an individual from foreign country gains citizenship in the United States. The naturalization process in the United States is very complex and clogged with pending matters. On average it takes around 180 days from the filing of the naturalization application to become a citizen of the United States. However, there are other requirements that must be met before an individual can even apply for citizenship. Before you can apply for citizenship in the United States you must first become a lawful resident of the United States. This entails the filing of an application for a visa and the subsequent filing for permanent residency in the United States. This is a complicated a long drawn out process. Once this is accomplished you may file for citizenship in the United States. If you meet these requirements then you can apply for citizenship using a N-400 form that can be retained through the USCIS. You will also need two passport quality photos, a filing fee of $320, USCIS designated fingerprinting, interviewing by the USCIS and finally a swearing in ceremony. In total it takes about 180 days to become a naturalized citizen once the you have filed your application and followed the requirements. Why do I need a Naturalization Lawyer? A naturalization lawyer can help you streamline the process of becoming a resident or citizen of the United States. The process is very complex and requires a number of forms that must be completed accurately. Any wrong information in a naturalization application can delay or terminate your ability to become a United States Citizen. The naturalization lawyer will also advise you on other matters including getting work, student or tourist visas and is usually proficient in all aspects of immigration policy. Where the normal applicant for residency or citizenship in this country is not familiar with the English language he or she may have difficulty understanding and completing immigration forms. Naturalization Lawyers deal with these matters on a daily basis and often have the appropriate documentation on hand. Naturalization lawyers can also help you in preparing you for interviewing with the USCIS. There are thousands of applicants for U.S. citizenship every year and the USCIS looks for reasons to disqualify people. This happens often during the interview process. Naturalization lawyers will know the questions they will ask and what answers they expect. Naturalization Lawyers will help you to magnify your strong character traits while diminishing traits and actions that can be used against you by the USCIS. A naturalization lawyer will also be beneficial when handling other matters including deportation, getting green cards, passports and dealing with customs officials. One of the worst things that can happen to an immigrant resident of the United States is a criminal arrest. The United States government welcomes immigration but seeks only those that will show respect and deference to the laws of the United States. A criminal conviction can have disastrous effects resulting in the denial of citizenship and even deportation from the United States. Naturalization lawyers can help you to diminish the effects of these infractions. Where do I find Naturalization Lawyers? Naturalization lawyers can be found through a routine internet search. They often have their own websites, often in foreign languages as well. You can also find naturalization lawyers through referral services providing naturalization lawyer services. One of the best ways to find naturalization lawyers is to ask friends and colleagues. Often your employer will know of naturalization lawyers that they have used in the past to get help with employment visas. You can even go to the top of the laws.com website and click on “find a lawyer” to find a naturalization lawyer in your area. Laws.com also provides a referral service in which you provide the necessary information and laws.com will contact you with information on where to find a naturalization lawyer that fits your needs. Rates associated with naturalization lawyers vary by state, specific location, and the complexity of the naturalization issue. Those who feel that they can handle the process themselves but would like a little help to find out what the steps are can get an initial consultation with a naturalization lawyer that will last about 20 minutes and cost between $75 and $150. If you are using a naturalization lawyer on an frequent basis the hourly rate can be $100 - $300/hour. Naturalization lawyers can also be retained to complete the entire naturalization process for you. In these cases the cost can be a one-time fee of $2,000 to as much as $12,000 depending on the complex nature of the naturalization matter. There are a number of qualifications you want to make sure you’re naturalization lawyer has before you attempt to retain him or her for any matter involving the immigration process. Your naturalization lawyer must have a law degree from an accredited law school in the United States. In addition he or she should be fluent in your native language as well as English so as to properly communicate the specifics of immigration law. If you can it is most beneficial to have a naturalization lawyer that has, at one point in his or her career, worked for the USCIS or been involved in some other aspect of naturalization in the government. 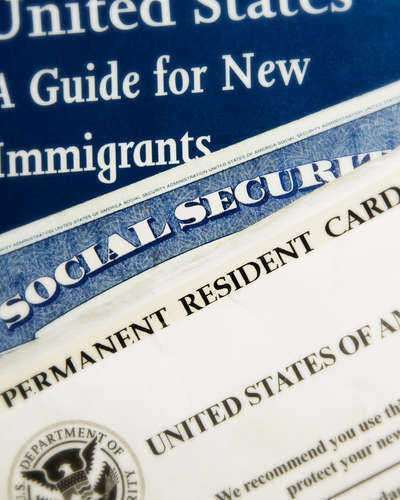 What questions to ask a Naturalization lawyer? •	Where did you go to law school? •	Do you speak my native language? •	Did you ever work for the USCIS or other governmental body dealing with immigration? •	What is your success rate with naturalization? •	What were the reasons for those that were denied? •	How long have you been practicing naturalization law? •	What are your fees?